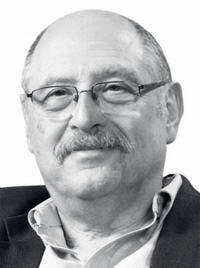 It's our pleasure today to feature an interview with Yossi Vardi, one of Israel's best known high tech entrepreneurs. Yossi is much sought out by entrepreneurs both here, in Silicon Valley, and the rest of the world for his insights into startups, having backed Mirabilis (ICQ, sold to AOL), Answers.com (IPO), Tucows (IPO), and dozens of other successful startups. Yossi, who is co-chairing the upcoming Israel Conference (www.theisraelconference.org) here in Los Angeles next month, recently sat down with us to talk about entrepreneurship, why Israel has been able to become such a center of high tech--and what Southern California might be able to learn from the Israeli culture. Thanks for sitting down with us. What is it about Israel that has made it such a center of high tech and startups? Yossi Vardi: Israel has what a lot of countries have--good universities, well educated people, a high literacy rate, etc. etc. etc--which are all necessary, but is insufficient for creating a high tech industry. I think, what we have here, which is different from many other countries, is the culture. It's a culture that celebrates entrepreneurship. it's a culture, where from the time kids such on their mother's milk, they are driven to excel, driven to explore, driven to thrive, and are driven to experiment. We, as a people, are never satisfied. We are always on a quest to do something new, to do something better--and that kind of spirit is manifested in the country, from generation to generation. A hundred years ago, we created the kibbutzim, then seventy years ago we created an excellent agriculture system, and then we built our own defense system. When we were faced with a need, we went and pursued it, and in the last twenty years, that quality has been manifested in the IT industry. It's part of the national culture, rather than technology or those sort of things. Is this the same kind of thing you see in the U.S.? Yossi Vardi: I would say, in the United States, that's mostly on the West Coast. In the United States, I don't see that all over the country. I see it in some clusters, in some communities--like Northern California, around Boston, around Austin, Texas in terms of high tech, and the same things in Southern California and New York in terms of media. Those places are where people are willing to drive, to spend money, in a quest to do something better. It's not unique to Israel, but it does belong to a very exclusive, small club, where these attributes are manifested. By the way, I think that no doubt, has to do with those communities which have a society of immigrants. We know, very well, that first and second generation of immigrants have an exceptionally high percentage of entrepreneurs. Why is that immigrants are such a huge piece of this? Yossi Vardi: Immigrants usually have a lot to gain, and not much to lose. They are willing to take higher risks. You've been involved in lots of successful startups over the years -- looking back, what would you say was the key to the ones which were the most successful, ie what did those entrepreneurs do right? Yossi Vardi: First of all, it's very helpful if you have luck. If you have luck, that makes things very nice. You cannot just sit in the kitchen and wait for the luck goddess to knock on the door, however. You have to prepared for it, and to work very hard. The other aspect, at least in the spaces where I am involved, which is consumer-facing Internet and mobile applications--is you need very talented people. What I have found, in consumer facing Internet and mobile applications, is it isn't much different from creating a good movie, a good TV show, or writing a good story, or even going to a good restaurant. What you have to do, is resonate with the heart of your consumer. Only a few people know how to serve their consumers well. If they know how to do it, then they are very successful. In the consumer Internet and consumer mobile industry it's not like writing software for the enterprise. It's not a question of engineering. In the consumer internet, writing software for the end user is another form of self expression. Software is becoming the substrate for which the artist expresses his ability to create something very compelling. The common denominator in all of the successful firms I see, is that they have people with this very unique level of artistic capability within their applications, who can come up with something users will really love. You've been spending some time here, and have the conference coming up next month, what's the link between Israel and Southern California? Yossi Vardi: I've come to visit Southern California and a number of startups, and always find I have to prolong my visit, because of the interest and very strong links. There's lots of potential between the new media community in Los Angeles, the telecom industry in San Diego, all across this corridor between Los Angeles and San Diego, and Israel. There are 10's and 10's and 10's of companies interested in Israel, mainly because new media and telecom, which are two of the major components of Israel's high tech industry. Qualcomm has a huge development center in Israel, as do other companies. There's a very high level of affinity. You're also well known for your investments - what kinds of sectors and types of companies do you think are the future and are most interesting right now to you? Yossi Vardi: I think that video is huge, and mobile applications are huge. I think there's a new frontier which we are going to see unrolling in the next five years, in such things like smart television, which is now only beginning to pop up. Smart televisions, like smart phone, will open up avenues you cannot even imagine, with a combination of technology around content, communications, and social. I think that will be a new frontier, which will be very active in the next five years. Thanks, and good luck on your conference next month!